The 2017 IEOC/an-vision, Inc. Symposium in Saratoga Springs, NY was our best conference yet. With 88 attendees and 3 exhibitors, this was our largest member attended meeting. Many of the attendees complimented on the location and educational lectures this year. The digital proceedings of the meeting abstracts are available here as well for current members. 'Ophthalmic Pearls' Provided by Dr. Mary Lassaline, on behalf of the Research Committee. Titles: "Principles of Stem Cell Therapies: Knowledge Gained and Knowledge Still to Obtain" and "Ophthalmologic Applications of Stem Cells: Specific Focus on Corneal Wound Healing and Immune-Mediated Keratitis"
Dr. Schnabel grew up in Long Island, New York, where she enjoyed spending time around both sport horses and racehorses. After receiving her bachelor degree from Duke University, she headed back to New York to attend Cornell University for her veterinary degree. She then went on to complete an internship at Rood and Riddle Equine Hospital in Kentucky before returning to Cornell as a postdoctoral fellow in the Orthopedic Laboratories of Dr. Lisa Fortier and Dr. Alan Nixon where she performed research on tendon and ligament repair. Dr. Schnabel completed her surgical residency at Cornell from 2006-2009 and became a Diplomate of the ACVS in 2010. She then completed her Ph.D. with Dr. Fortier on the immunologic properties of stem cells while also working as an emergency surgeon at Cornell. 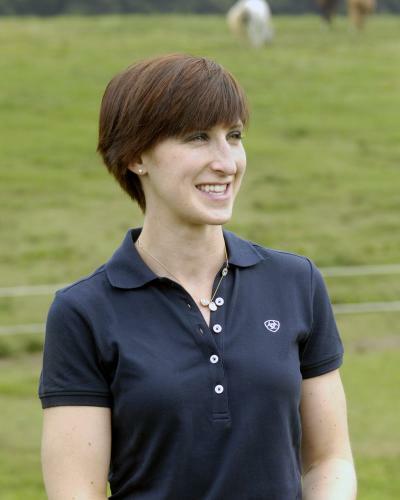 Dr. Schnabel began her position at NC State in 2013 working in both the equine hospital and her research laboratory. She specializes in the use of regenerative therapies for the treatment of musculoskeletal injuries in horses and has published and given lectures both nationally and internationally on platelet rich plasma, bone marrow aspirate concentrate, and stem cells. In particular, her laboratory is focused on understanding the immunologic and immunomodulatory properties of mesenchymal stem cells. Such knowledge is critical for potential allogeneic “off the shelf” stem cell therapy which would allow us to treat patients at the time of diagnosis rather than having to wait several weeks to months to culture stem cells from that patient. At NC State, Dr. Schnabel runs the Clinical Mesenchymal Stem Cell Culture Service and is developing the Sports Medicine and Rehabilitation Service at with Dr. Rich Redding and colleagues. Dr. Schnabel became a Diplomate of the ACVSMR in 2015. Title: "Ocular Manifestations of Systemic Disease and Systemic Manifestations of Ocular Disease"
Dr. Sanchez received her DVM degree from the University of Florida in 1995. She then completed an internship at Equine Medical Associates in Edmond, OK and a residency in Large Animal Internal Medicine (1999) and PhD (2003) at the University of Florida. She is currently an associate professor of large animal internal medicine and Medical Director of the Large Animal Hospital at the University of Florida. 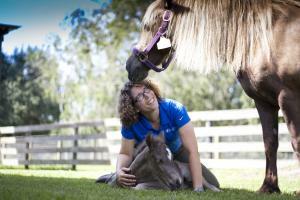 Dr. Sanchez's clinical interests include general equine internal medicine, neonatology, and gastroenterology. Her research focus has been veterinary gastroenterology, with a special interest in visceral pain and gastric ulceration. Members are given priority registration and access to all past proceedings and presentations, as available. Consider joining and participate in the IEOC community, receive the quarterly newsletter with cases and discussions (newly launched in Sept), and discourse with colleagues and review photos regarding difficult cases over the online discussion forum. Consider membership today!